Reuters: In 2019, publishers will experience “the biggest wave of layouts in years” … and massive burnout among the journalists who remain. The bad news continues for the publishing industry in 2019. I’ve blogged before about the employment picture in journalism, which has been pretty ugly for the past decade. And just when it seems that news in the publishing industry couldn’t get much worse … along comes a new study that further underscores the systemic problems the industry faces. The results from a recent Reuters survey of publishers worldwide point to declines that will only continue in 2019. In fact, Reuters is predicting that the industry will experience its largest wave of layoffs in years, coming off of a decade of already-steadily shrinking numbers. The main cause is the continuing struggle to attract ad revenues – revenues that have been lost to the 600-lb. gorillas in the field – particularly Facebook, Google and Amazon. In addition to boosting subscription revenue, publishers are looking to display advertising, native advertising and donations to help bankroll their businesses, but advertising is the main focus of revenue generation for only about one in four publishers — a far cry from just a few years ago. 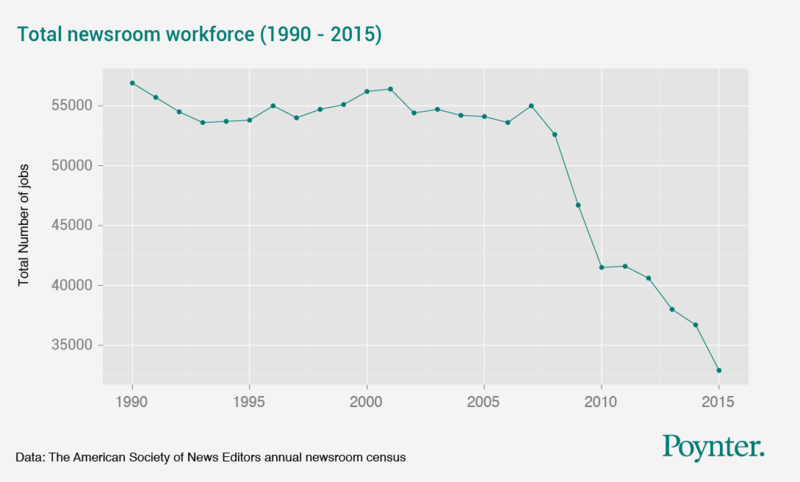 Putting it all together, Reuters predicts that it will lead to the largest wave of publishing job layoffs “in years” – and this in an industry where employment has been shrinking for some time now. A major reason why: Even more is being asked from the employee who remain – and who are already stretched. Journalism salaries are middling even in good times – which these certainly are not. How many times can an employee be asked to “do more with less” and actually have it continue to happen? Even the bragging rights of journalists are being chipped away, with more of them relegated to spending their time “aggregating” or “curating” coverage by other publishers instead of conducting their own first-hand reporting. That translates into perceptions of lower professional status as well. In such an environment, it isn’t surprising to find editorial quality slipping, contributing to a continuing downward spiral as audiences notice the change — and no doubt some turn elsewhere for news. Last but not least, there’s the bias perception issue. Whether it’s true or not, some consumers of the news suspect that many publishers and journalists slant their news reporting. This creates even more of a dampening effect, even though in difficult times, the last thing publishers need is to alienate any portion of their audience. How have your periodical and news reading habits changed in the past few years? Do you continue to “pay” for news delivery or have you joined the legions of others who have migrated to consuming free content in cyberspace? YouTube: It’s bigger than the world’s biggest TV network. Just a few years ago, who would have been willing to predict that YouTube’s user base would outstrip China Central Television, the world’s largest TV network? Yet, that’s exactly what’s happened: As of today, around 2 billion unique users watch a YouTube video at least once every 90 days, whereas CCT has around 1.2 billion viewers. Consider that in 2013, YouTube’s user base was hovering around 1 billion. So that’s quite a jump in fewer than five years. Here’s another interesting YouTube factoid: Nearly 400 hours of video content is being uploaded to YouTube each and every minute. For anyone who’s tallying, this amounts to 65 years of video uploaded to the channel per day. No wonder YouTube has become the single most popular “go-to” place for video content. But there’s more: Taken as a whole, YouTube viewers across the world are watching more than 1 billion hours of video daily. That’s happening not just because of the wealth of video content available; it’s also because of YouTube’s highly effective algorithms to personalize video offerings. One of the big reasons YouTube’s viewership has expanded so quickly goes back to the year 2012, which is when the channel started building those algorithms that tap user data and offer personalized video lineups. The whole purpose was to give viewers more reasons to watch more YouTube content. And the tactic is succeeding beautifully. Another factor is Google and its enormous reach as a search engine. 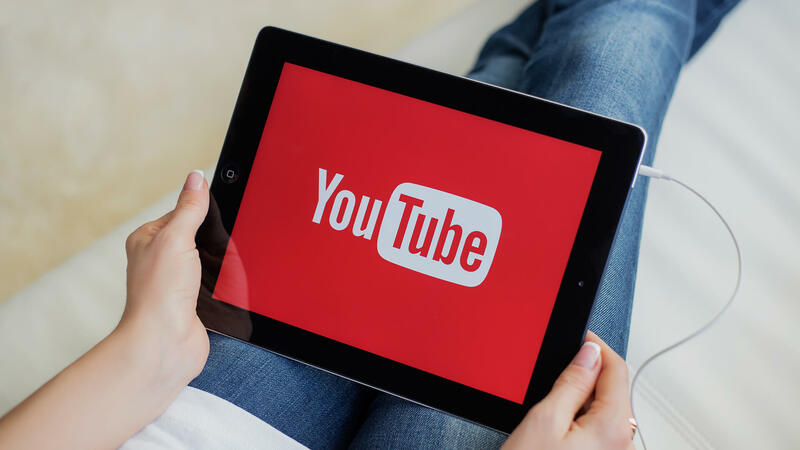 Being that YouTube and Google are part of the same commercial enterprise, it’s only natural that Google would include YouTube video links at the top of its search engine results pages, where viewers are inclined to notice them and to click through to view them. Moreover, Google pre-installs the YouTube app on its Android software, which runs nearly 90% of all smartphones worldwide. The average run time for a YouTube video is around three minutes, with some 5 billion videos being watched on YouTube in the typical day. Considering all of these stats, it’s very easy to understand how Internet viewing of video content is well on the way to eclipsing overall television viewing before much longer. As of 2015, TV viewing still outpaced interview viewing by about margin of about 56% to 44%. But when you consider that TV viewing is stagnant (or actually declining a bit), while interview viewing continues to gallop ahead, the two lines will likely cross in the next year or two. What about you? Like me, have you found that your video viewing habits have changed in the direction of YouTube and away from other platforms? In theory, people love to have choices. But in practice, does having many choices always matter? In the world of TV viewing, the answer seems to be … not so much. New findings from Nielsen’s Total Audience Report finds that the average number of channels received by American viewers of TV is just over 200. But on average, people view fewer than 20 different TV channels during the course of a month. 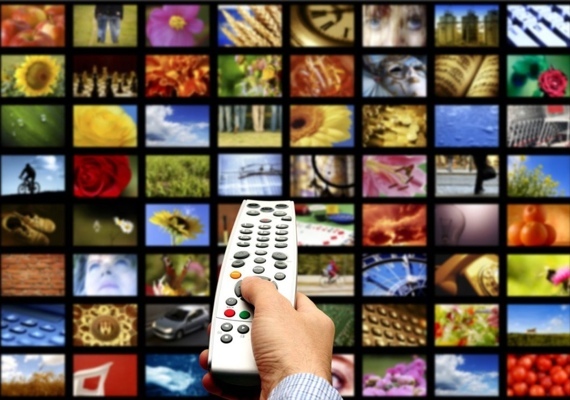 That means that people are typically watching just 10% of the channels available to them. In a related report published by Marketing Charts, traditional TV viewing has declined in nearly every age group over the past five years. Clearly, younger generations are finding outlets for their leisure time other than traditional TV viewing. What’s more, time-shifted viewing remains only a small fraction of all TV viewing — no better than 90/10 split in favor of live TV in any of the six age categories tested. So we have a combination of tradition asserting itself – people continuing to watch relatively few TV channels – along with some changing behaviors that promise to continue to upend the traditional TV industry. More findings from the new Nielsen and Marketing Charts reports can be accessed here and here. 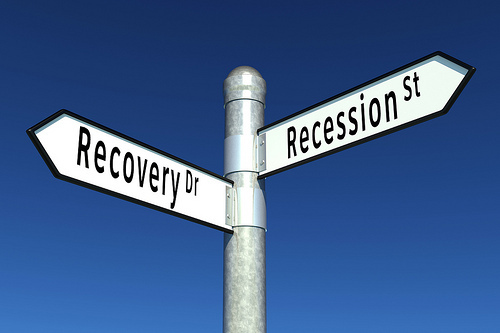 Six years on … and the U.S. ad economy is still in recession? Two reports from advertising research sources released in the past month reveal that the advertising field doesn’t appear to be rebounding in strongly – at least not to same degree as the economy as a whole. One report, from U.S. 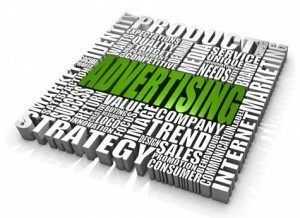 Ad Market Tracker, is an index that pools electronic media buys processed by major agency holding companies and their brand marketers. It’s true that this report shows an increase in the overall ad activity index year-over-year of about 18 points (it’s 184 today … 166 a year ago … and 100 back in the recession year of 2009). But when we look at the breakdown where most of the advertising growth is coming from, it’s nearly all from a handful of categories: social media advertising, advertising on video, Internet radio, plus ad network marketplaces. By contrast, search advertising is growing at a much slower rate, and the most “commoditized” segments – particularly online display advertising – are doing little better than treading water. This isn’t the robust rebound that many business and ad industry observers were expecting to see by 2015. Over at Kantar Media, the statistics are even less encouraging. 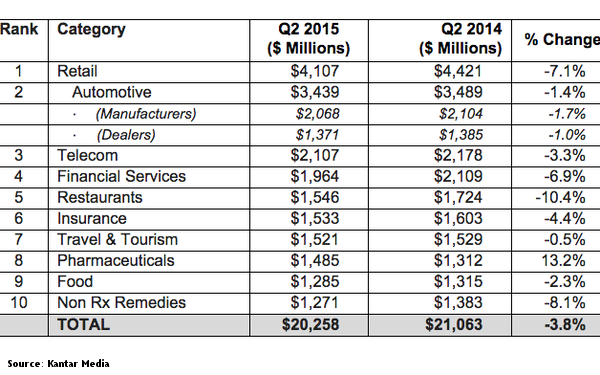 In fact, Kantar projects that the 2015 ad economy will underperform U.S. economic growth for the fifth straight year. Considering how lethargic in general the U.S. economy has been over that period, to be growing at less than the average is almost an indictment of the industry. Second-quarter 2015 data released by Kantar estimates annualized measured media ad spending declines in the neighborhood of 4%. More to the point, Kantar is seeing increases in just 7 of the 22 individual ad media categories it tracks, led by the same categories U.S. Ad Market Tracker identifies as the most healthy ones. Perhaps a surprise — considering the overall disappointing numbers — is that Kantar has tracked two analogue categories as experiencing growth: radio and out-of-home advertising. But print continues to decline at pronounced rates, and Internet display advertising has also officially joined the ranks of media segments that are contracting. Is the disappointing performance of advertising a function of a weak market overall? Or is it the result of structural changes and the reallocation of promo dollars into different, in some cases non-advertising MarComm vehicles? When just one industry segment out of ten is showing an increase, it suggests more than just some restructuring or re-jiggering is going on. Instead, it’s just as likely that the U.S. advertising economy remains stuck in a recession, even if the overall economy has finally emerged from it. What are your thoughts on the tepid advertising results? Please share your views with other readers. Magazine readership preferences confirm the continued primacy of print. In my line of work, I receive many magazines and other publications covering not only the marketing and advertising field, but also the industries and markets of our corporate clients. Every time one of these subscriptions comes up for renewal, I’m strongly urged to choose the online/electronic offering instead of the print edition. I know why, of course. 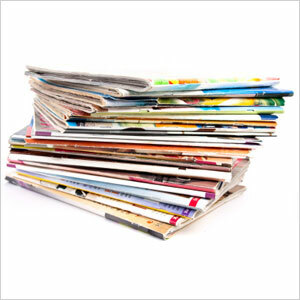 Between the printing, postage and shipping considerations, magazines and other printed media represent the most involved (and the most costly) form of delivery. And there’s also the issue of “currency” and “recency,” with breaking news being covered much quicker and more efficiently online. Still, I generally opt for print for the simple reason that a physical magazine, newspaper or newsletter is easier to browse and to read. I like the “linearity” of a print magazine and find magazine reading less satisfactory online. Don’t get me wrong — I’m very happy digital versions of the print editions exist. I love the fact that I can go online and access an article of particular interest that I may wish to archive in electronic form, or pass along to friends and colleagues. So, consider me an “all of the above” sort of person. Still, there are times when I think that I represent a more traditional way of thinking about consuming news articles — one that’s decidedly losing popularity. But then … we see the results of a new digital magazine market study, published by Mequoda Group, a media consulting firm. The survey, which was conducted in July 2015 among ~3,650 Americans adults age 18 or higher who have access to the Internet, found that digital magazine consumption has now reached ~43% of print magazine consumption. What this means is that in 2015, print magazine readership activity outnumbers digital by a 2-to-1 margin. The bottom line on this topic appears to be that the demand for print delivery of periodicals remains significant … and that publishers who elect to shift to “all-digital” delivery stand to lose at least some of their reader engagement. Even so, I have no doubt that publishers will continue to push electronic delivery in the hopes that print can eventually fall completely by the wayside. The full report is available free of charge from Mequoda here. 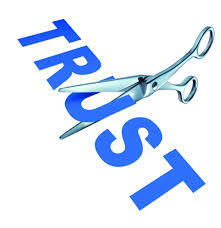 There are just a few slight problems with sponsored content: Readers consider it less trustworthy … and value it less. It’s really not that interesting — and I don’t trust you, anyway. Here’s a behavioral statistic that should be a little disconcerting to marketers: Only about one in four readers scroll down on sponsored content (native advertising) on publisher websites. Compare that to ~70% of those same readers who scroll down on other types of news content. That’s what the chief executive officer of Chartbeat, a developer and purveyor of real-time web analytics software for media publishers, has contended, leading others to try to probe these attitudes further and try to find out more about the dynamics that are at work. Generally speaking, readers trust sponsored content a whole lot less than they do “normal” content. The findings aren’t much different based on the age or education levels of respondents, either. If anything, more highly educated people (those with graduate degrees) are most likely to prefer banner ads over sponsored posts. 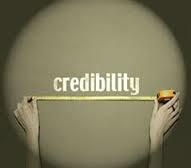 The reason boils down to concern over the issue of deception: A large majority of respondents reported that they have ever “felt deceived” upon realizing an article was actually sponsored by an advertiser. Lastly, publishers should take note that their credibility is being diminished in the eyes of many, based on the practice of publishing native advertising. The Contently survey found that nearly 60% expressed the view that publishers lose credibility when they run such sponsored content. Of course, native advertising and sponsored content isn’t going to go away. It’s too wrapped up in today’s business models for successful publishing and successful brand engagement. But it’s clear that publishers, advertisers and the brands they represent have a bigger hurdle to clear in order for their content to be considered worthy of their readers’ attention and engagement. The bulk of time Americans are spending on digital media … is now happening on mobile applications. Apps are clearly in the driver’s seat – particularly in the mobile realm. 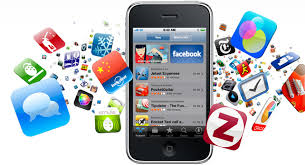 In fact, comScore estimates that apps account for 7 out of every 8 minutes spent on mobile devices. On smartphones, the app usage is ~88% of all time spent, whereas on tablets, it’s ~82%. The inevitable conclusion: App usage is highly concentrated among a subset of the population. Indeed, the 7% most active smartphone owners account for almost half of all the download activity during any given month. But even if most users aren’t downloading all that many apps … they are certainly engaged with the ones they do have on their devices: comScore reports that nearly 60% are using apps every day. Here again, the data show that usage levels are much higher among smartphone users than they are with tablet users (where only about one quarter of the people use apps daily). And if you combine social networking, games and Internet radio, you’ve pretty much covered the waterfront when it comes to app usage. When you think about it, none of this should come as much surprise. We’re a mobile society – hourly, daily, monthly and yearly. It only makes sense that most online time is going to be happening when people are away from their home or their desk, now that it’s so easy to be connected so easily from even the tiniest mobile devices. And speaking of “easy” … is it really any wonder why people would flock to apps? It’s less hassle to open up an app for news or information rather than searching individual sites via mobile. People simply don’t have the patience for that anymore.